yesterday when I was in the garden I noticed that my chicken feeder I planted with ivy geraniums was finally blooming nicely. I decided it was time to have a tea in the garden. 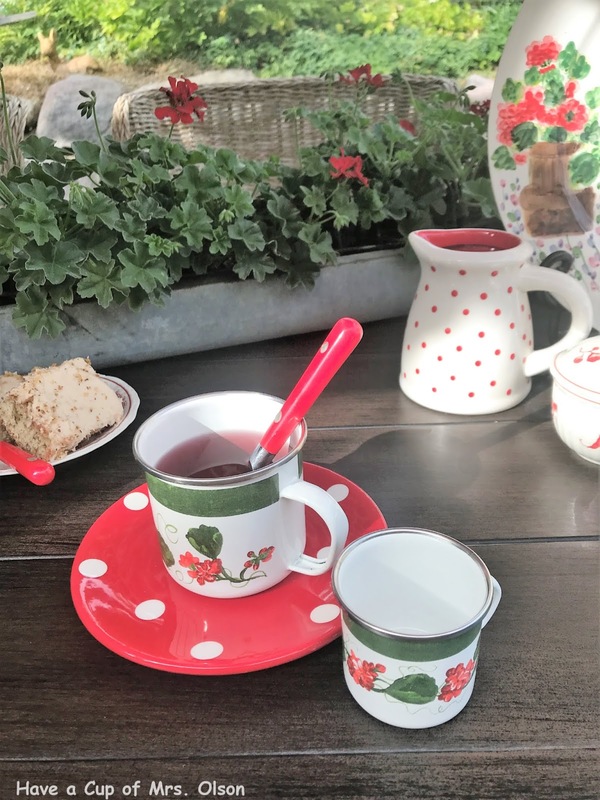 Sunday afternoon is the perfect time to have tea in the garden. I didn't go to a lot of work, just brought a few things out from indoors. I got a new patio table set last year. It's from Home Depot, and I love it! I didn't even use a tablecloth. Yup, nice and easy! I planted Geraniums in almost every one of my annual containers. They have struggled with our unusual summer heat and it seems the planters look mostly green, even though I have given them a shot of Miracle Grow now and then. I bought this large chicken feeder in May while vacationing in Texas. I paid $30. I had to buy it, because around here they sell for $75 or more. When I planted it with the Geraniums this spring I pictured it full of red blooms. It just hasn't happened until now. Before that it had just a few sporadic blooms here and there. 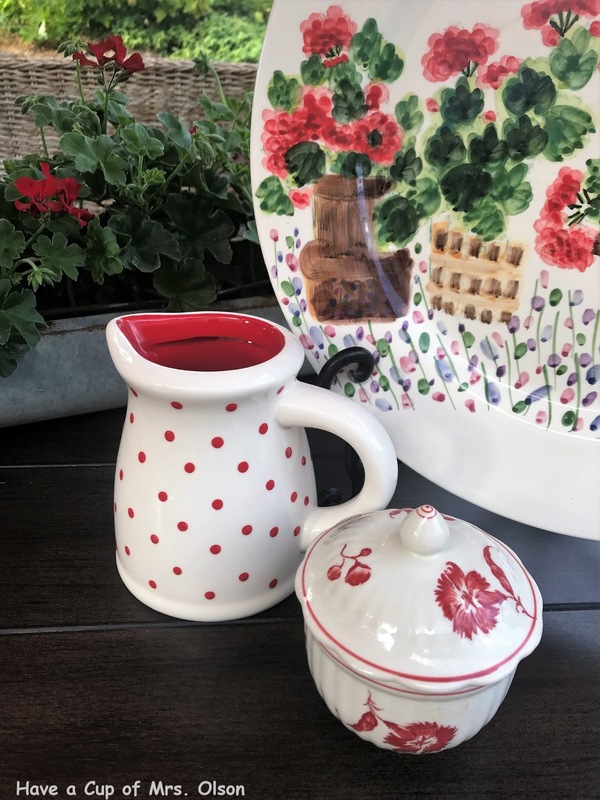 I have the cutest enamel mugs with Geraniums on them. I found them at a thrift shop. Four are large and 4 are child size. 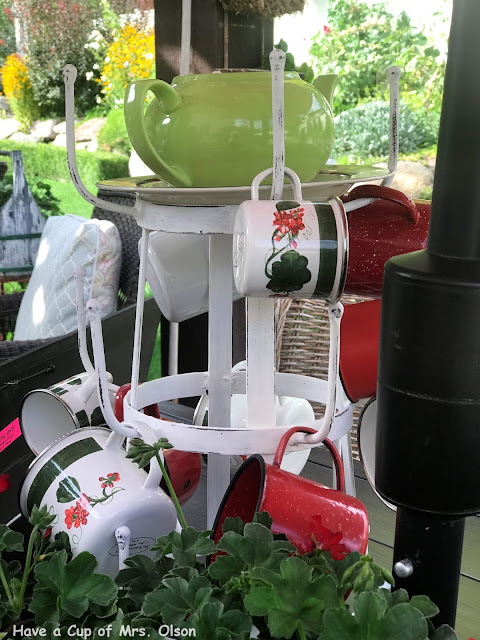 They are hanging on my French mug rack along with some red ones. I steeped Tazo Passion tea in my green teapot. It's caffeine free and so delicious! I also love it's pretty red color. I placed the small cup next to mine so you could see the difference. It's still a bit hard to tell how small it is. I had a little bit of half and half in the fridge. I put it in the dotty pitcher. Although, I found that it didn't need it. :) I didn't have a sugar bowl with Geraniums on it, but this beauty was my souvenir from Thomas Jefferson's home, Monticello. The hand painted platter was another thrift find. 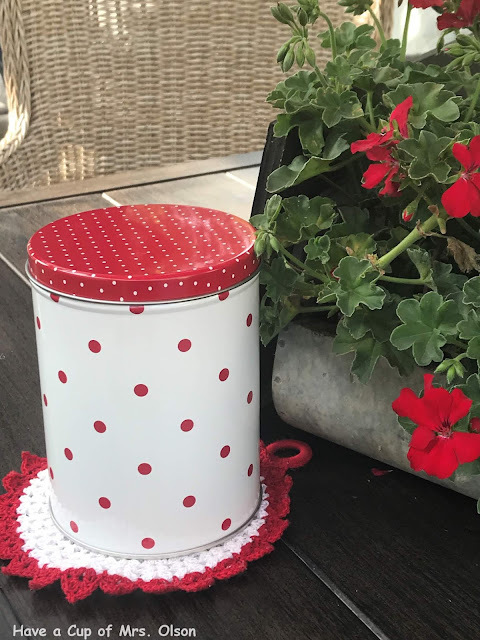 I store the extra tea bags in this cute dotty tin gifted to me by my sweet friend, Ann. Of course, when you have tea; you need a little something sweet. 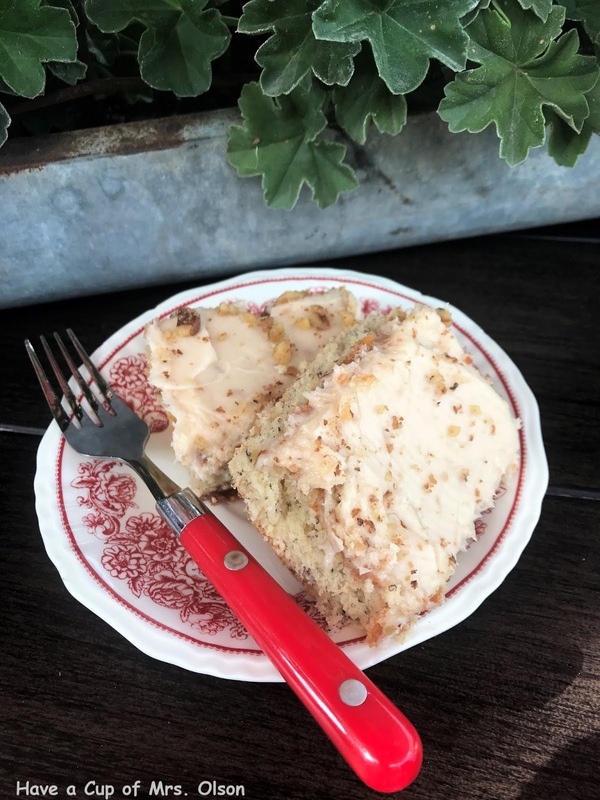 This banana cake is so moist and yummy! It's my go to when I have over ripe bananas. I'll share the recipe at the end. We are going to have a cool down for a couple of days. I'm looking forward to it. Although, we have to take advantage of these sweet summer days before they fleet away! Spray large cookie sheet with Pam. Bake at 350 degrees for 35 min. Sprinkle top with chopped walnuts if desired. I love tea! This tea party outside is a perfect reminder of what summer is all about. 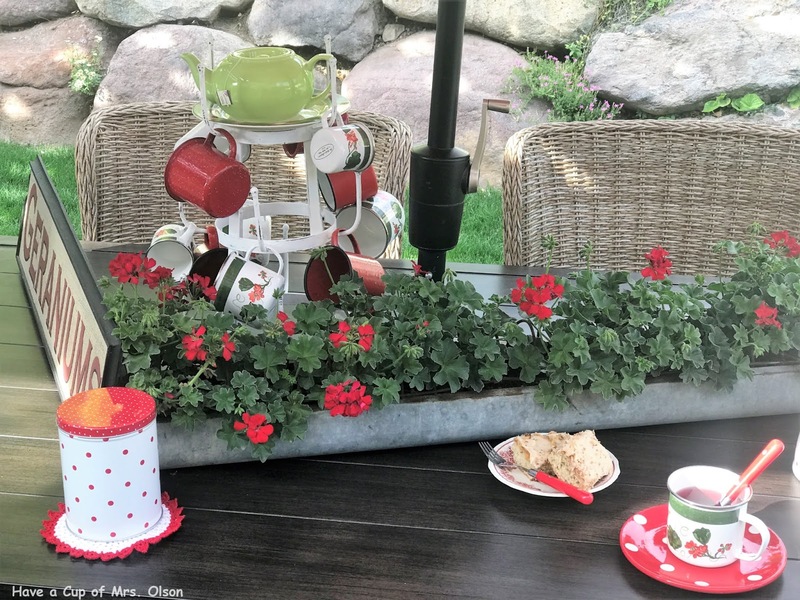 What a pretty outdoor tea, Jann! I wish I was there to share some tea, banana cake and to enjoy your pretty table setting. You have such beautiful things, and since we both love red, it's always fun for me to see. I hope you have a great week! 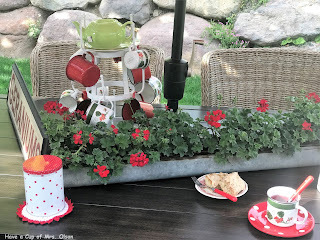 Jann what a fun tea party! I have forgotten the geranium but think I need to add some to my flowers. They really are sweet. The cups and platter are so pretty. Happy day sweet friend! Hugs! How I wish I could invite my mom to your tea party! Red geraniums were her very favorite and I can see why. 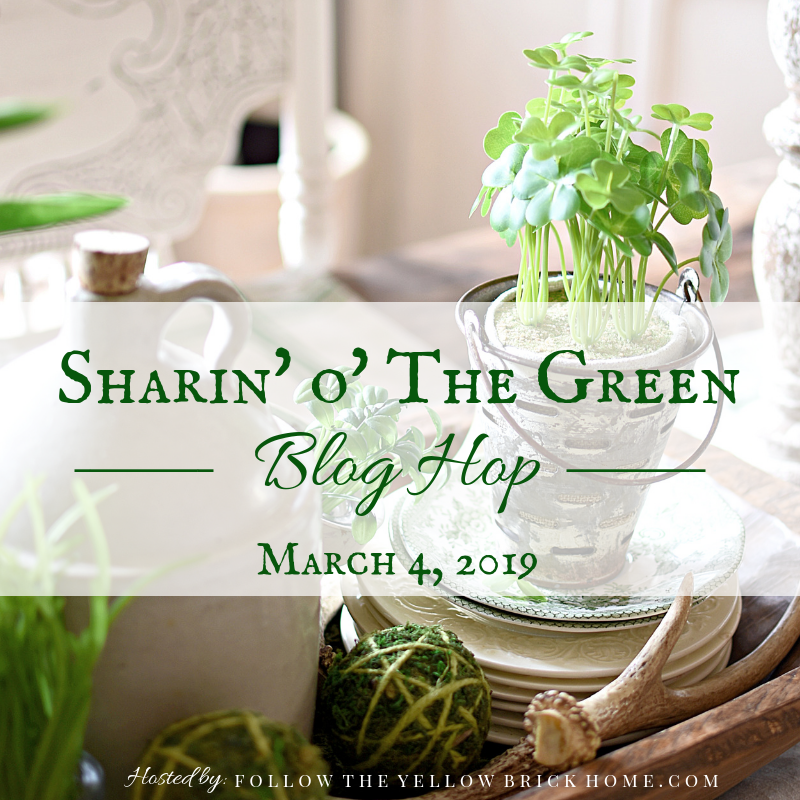 I love all your vignettes an the wonderful color and style! Cute! 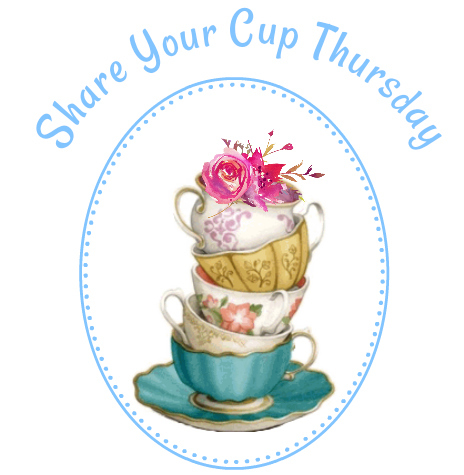 Love tea and with winter coming will be sipping more! What a lovely tea party indeed!! Everything is so colorful and bright, just perfect for a summer day The banana bread has my mouth watering. 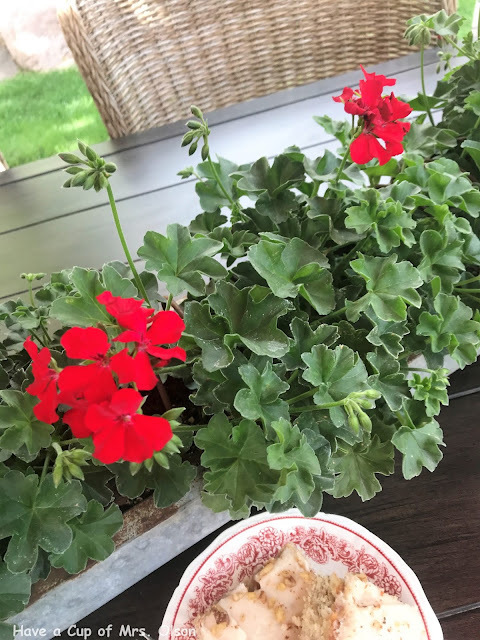 Great tea time!I love red geraniums,they remind me my childhood,my Mom had lots of geraniums in the garden...But I have no lucky with them!Your pictures are lovely!Hugs,Jann! 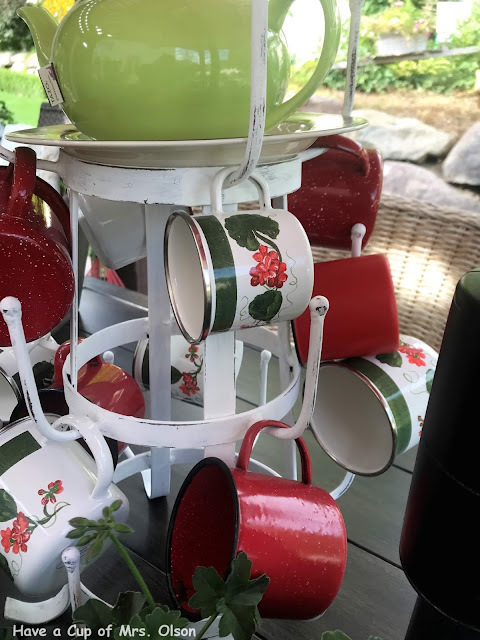 Love your tea party, Jann. 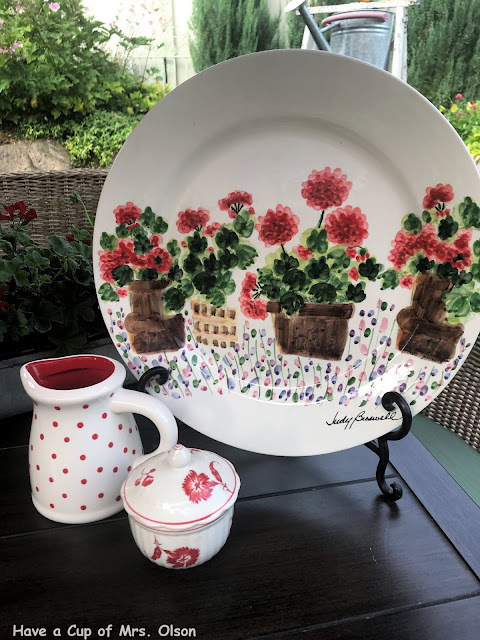 Those mugs with geraniums on them and that plate are adorable. My red geraniums seem to be buried among my annuals in my front flower beds this year, hardly even visible. I think we got too much rain and many of them turned mushy. I also had a problem with voles eating a few of them - another first in their 14 years in those same beds! 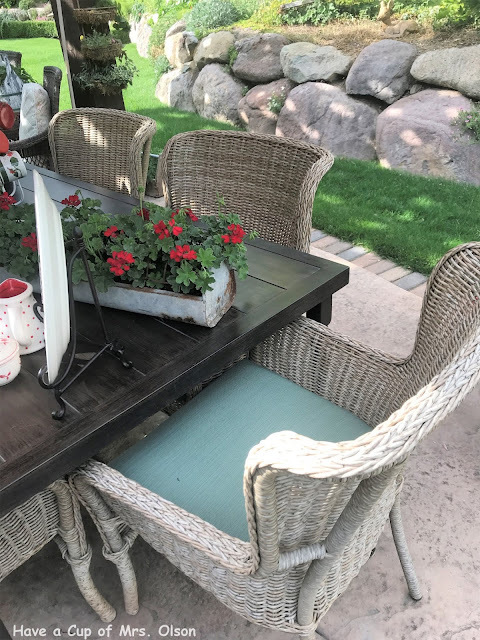 Hmmmm, I know my geraniums basically shut down in the heat...Love this arrangement and simplicity, but so a colorful table. 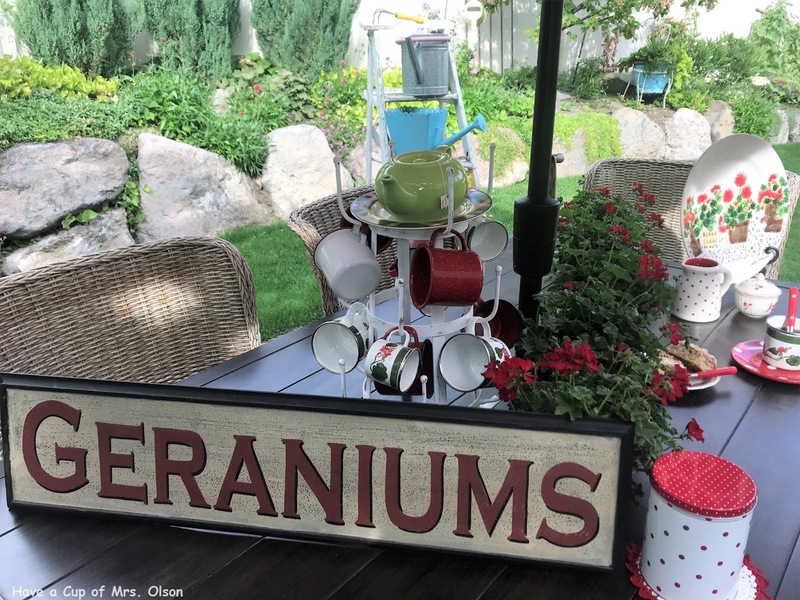 Adore your geranium tea party. That feeder is awesome and crushing on the plate. I could almost smell the geraniums! I had them surrounding my patio in SoCal because I loved them so much. Do the annuals smell as good as the perennials? Your tea looks lovely! I love your plate. 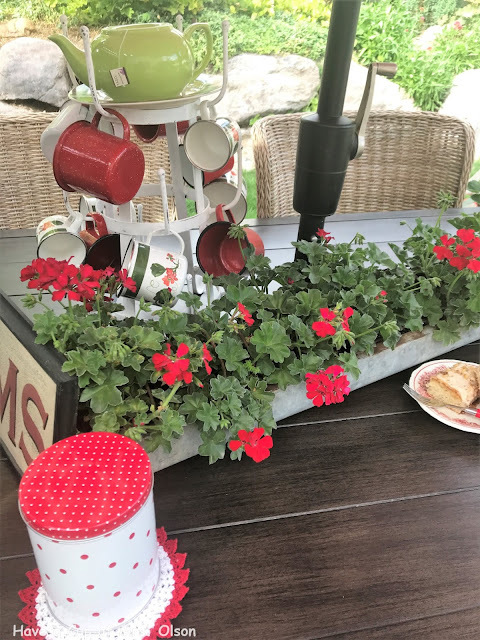 Red geraniums are one of my favourites too, so bright and cheerful and they bloom and bloom. We have them in hanging baskets at the front of our house. The red geraniums look pretty in your yard. Too hot here for flowers, all we seem to have is green leaves and very little flowers. 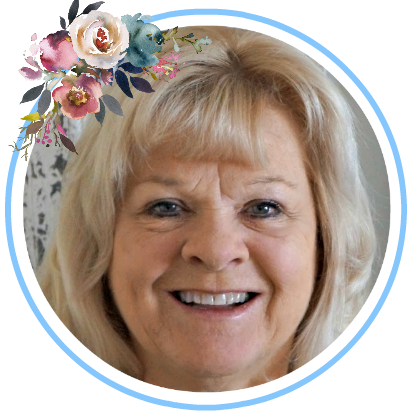 Jann, geraniums are some of my favorites. The scent reminds me of my childhood. I just tossed the last of my geraniums for this year. Just too hot for them to survive. I envy your cooler days. 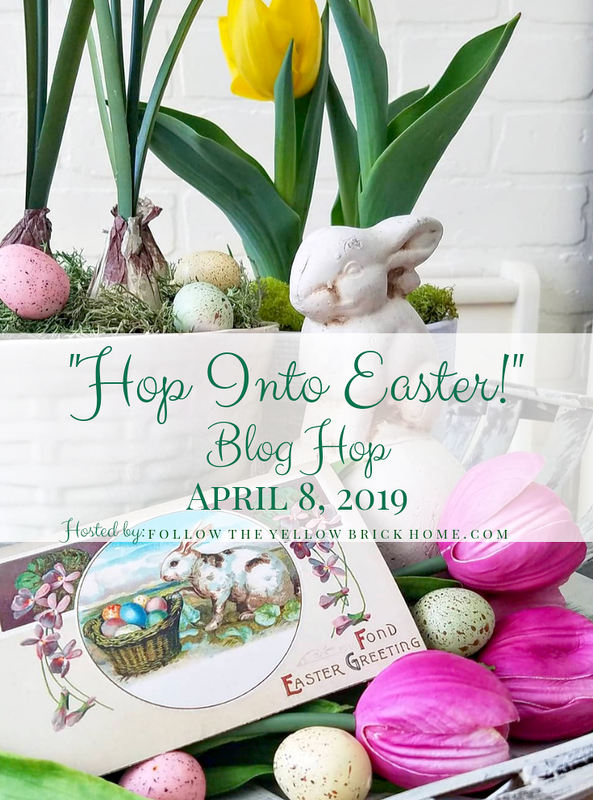 We are in another hea wave. Just viewing these delightful images makes me feel cool and relaxed. This is delightful, Jann! 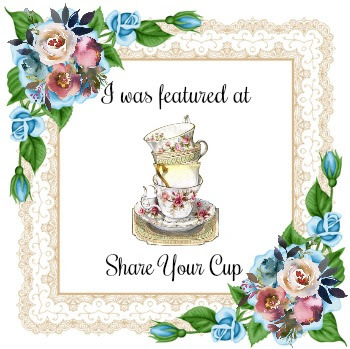 Thanks for sharing at Vintage Charm--pinned & tweeted!